Offer is valid from 12 midnight, AEST, June 1, 2018, to 11:59 p.m., AEST, June 30, 2018. Limit of one free Lemongrass 15ml, Wintergreen 15ml, Inner Defense 60 caps, Lavender Oatmeal Bar Soap, and Aroma Siez 15ml per qualifying Standard Order. 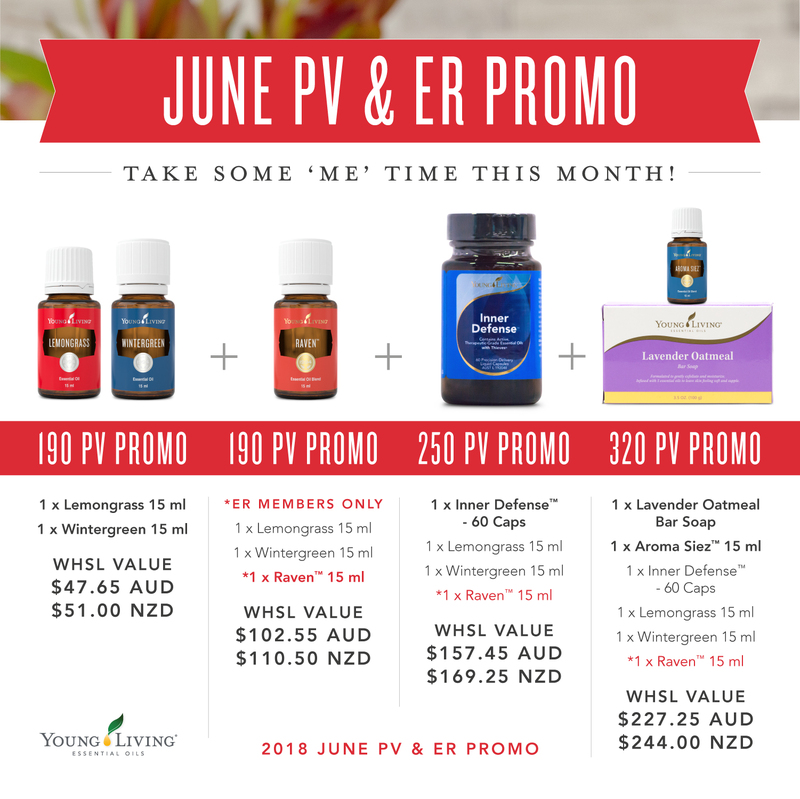 Limit of one free Lemongrass 15ml, Wintergreen 15ml, Raven 15ml, Inner Defense 60 caps, Lavender Oatmeal Bar Soap, and Aroma Siez 15ml per qualifying Essential Rewards Order.